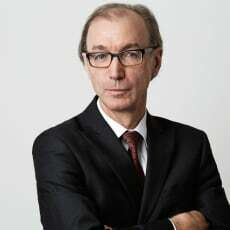 Professor Doctor Jürg Simon is considered a leading lawyer in intellectual property and related fields in Switzerland (forensic and non-forensic work). Before joining Lenz & Staehelin, he was director at the Swiss Intellectual Property Institute and partner in an IP boutique firm. He teaches intellectual property law, among other subjects, at the University of St Gallen.